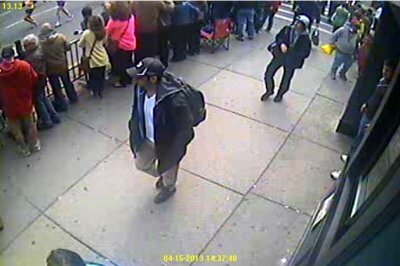 A photo released by the FBI showing the Boston bombing suspect 1. Boston bombing suspect Tamerlan Tsarnaev has been shot dead in the early hours of Friday morning, and his brother Dzhokhar Tsarnaev is currently the subject of a massive manhunt by FBI and local Boston police forces. The pair of suspects, 19-year-old Dzhokhar Tsarnaev and elder brother 26-year-old Tamerlan Tsarnaev, are believed to be brothers from the Russian Caucasus, although they reportedly moved to Kazakhstan at a young age. They were reported to have arrived to live legally in the United States at least a couple of years ago, according to the police officials. The name, Dzhokhar Tsarnaev is also listed among the recipients of Cambridge scholarships in 2011. It has been reported that at approximately 10.20 p.m. ET on Thursday police were called to a 7-Eleven store in Cambridge after the bombing suspects robbed the store. Minutes later the men shot and killed an MIT campus officer responding to the robbery call, resulting in a lockdown at the university campus. The terror suspects then carjacked a Mercedes-Benz with the driver still inside and fled. 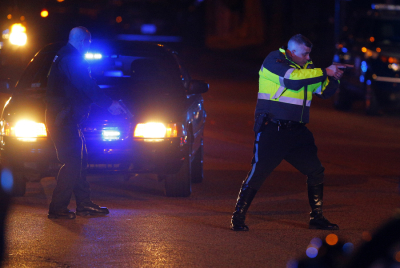 They later released the driver, but were spotted in Watertown where they exchanged gunfire with patrol officers. Police are said to have shot and apprehended Suspect 1, who was then rushed to Beth Israel Medical Center. He arrived at the hospital under cardiac arrest with multiple gunshot wounds and blast-like injuries to his chest. The second suspect fled on foot, leading to a tense manhunt that is still underway early Friday morning. "We believe this to be a terrorist," said Boston police Commissioner Ed Davis. "We believe this to be a man who has come here to kill people. We need to get him into custody." According to Boston police, the suspect who remained at large was the "one in the white hat" who was seen in the photos released by the FBI earlier on Thursday.